This is the most perfect day to showcase this wedding! Nanar and Varouj were one of the sweetest, craftiest couple I’ve ever met. Usually my brides are the crafters. In this case, I’m not sure if Nanar held him to gun point but he did so much work and he did it very well! We’re super excited Style Me Pretty picked this wedding for Valentine’s Day. Here are some of our favorites but we had two separate into two posts. Her florals from Bebuds were gorgeous! The details here were perfection! This is only some of the eye candy. Come back tomorrow for some more! I met Jessica on Instagram, yes Instagram (!) and fell in love with her engagement session. I don’t always feature couples that aren’t my own clients but you’ll see why I had to ask. 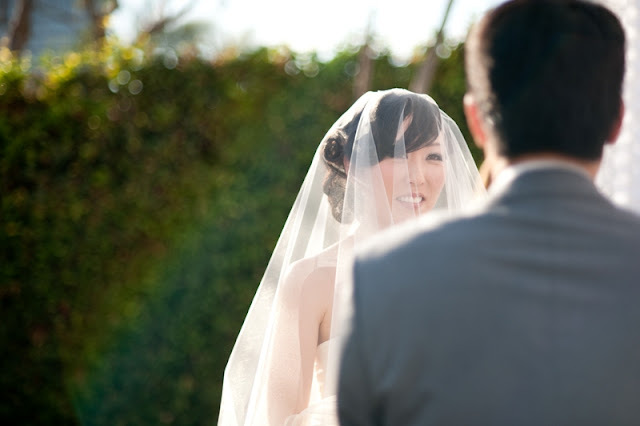 Not only is she and her groom gorgeous, but they chose Joshua Park as their location. I love Joshua Park! SO in love with all their shots! Thank you for letting me share Jessica! The talented photographer was Priscila Valentina of Priscila Valentina Photography. Earlier this month, we were part of a cute and intimate wedding boutique in Santa Clarita. Lots of talented vendors got together and Becca of Becca Rillo Photography captured it all including this first image I am completely in love with! La Soie Bridal was there as well as the yummy ME Catering. El Javi is an amazing guitarist and Judy of Enchanted Gardens is amazing! Katrina Calligraphy and Cake Goodness were also there! This frame has been spray painted many a’times! Of course, we had to take the obligatory booth shot by Santa Clarita Photobooth! A-team! Met some very sweet brides and grooms! Thanks again to Becca for the shots and Wine 661 who hosted. Remember: They sell wholesale wine for your weddings or events too! Here is more of that sweet wedding! Every single part of the wedding was beautiful and amazing. The flowers from Be Buds were just gorgeous and of course the pictures by This Modern Romance are to die for! Unfortunately we don’t have pictures but even the In n’ Out truck came by at midnight! It was the perfect surprise for the guests. When Nanar and Varouj told me that Style Me Pretty were going to feature them, they also gave me another surprise…wait for it…they’re expecting! Congrats again and again Nanar and Varouj! 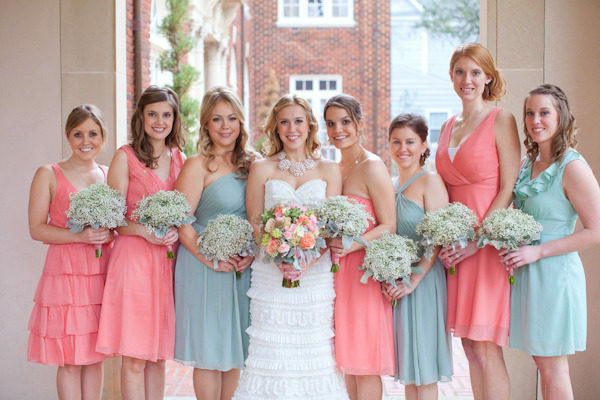 We were just talking about baby blues in our inspiration board here and mismatched bridesmaids dresses over here so we thought this Style Me Pretty feature fit in perfectly this week. We love the colors and all the details! Go check out the full story here. Tomorrow is Christmas Eve and I’m excited to be hosting this year! 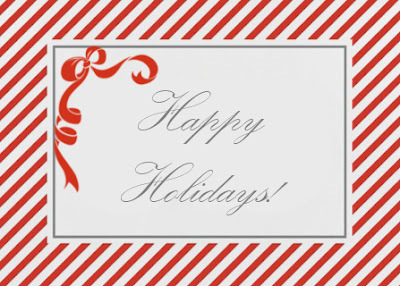 We’ll be taking a small break, but in the mean time, from our hearts to yours, we wish you Happy Holidays filled with joy, family, and lots of food! Here is an inspiration board we created for our couple getting married at the Huntington Hyatt in April. We were perusing the internet when we stumbled across this wedding in Guatemala that is just absolutely gorgeous! From the natural setting to the bride’s dress everything is perfection. This shot…was to die for. I love long, cathedral, dramatic veils! See the rest of this wedding on Bridal Musings. It reminds me of our Jean back in October of 2010. So perfect! Want to relive it all? See Jean and Jay’s wedding HERE thanks to Image is Found. Stay tuned next week for some fun DIY components we’ll be making for some of our upcoming weddings! Yesterday this awesome couple tied the knot! I am definitely not a stationery designer but since they only had 50 guests I agreed to do their invites. Wishing everyone a great week. I can’t believe it’s June already! We are loving the newest trends on wedding invitations this season-circle cards and designs on the back. And what do you know? Wedding Paper Divas has combined the two for this chic new style. Love that they’ve included really fun designs. They’re not only reasonably priced but also offer a great variety of fun invites. Check out Wedding Paper Divas for wedding invitations and more! Below are some of our favorite circle wedding invitations! What do you think of this new style? Will you try circle cards or stick to the traditional square?